What Window Covering Should I Use? Window coverings come in a plethora of different styles, each with their own set of pros and cons. It can be very difficult to determine which will be the most effective for one’s projects so you may find yourself asking, “Which window covering should I use?” If you find yourself confused and overwhelmed, don’t worry, here is a short guide to some of the best window covering options on the market today. Shutters offer variable light control meaning that you have complete control over how much light you want to let into the room. It’s possible to complete block it out or let it all shine in. 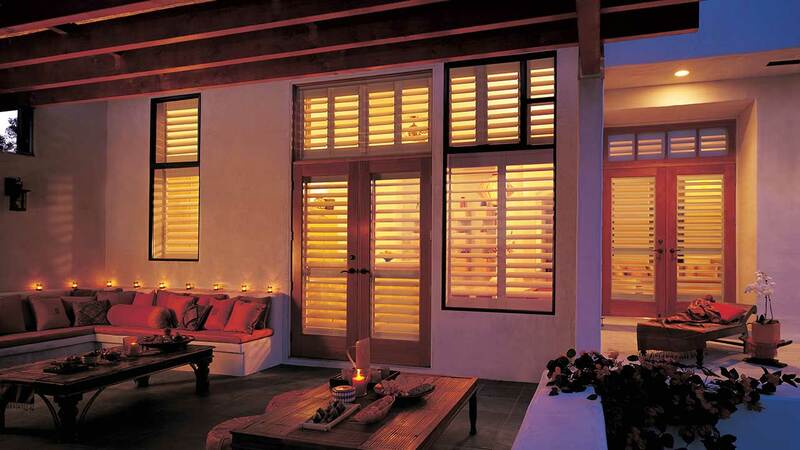 Shutters are very sturdy and effective, with a long life expectancy. They’re great for traditional rectangular shaped windows, bays, bows and even arches plus they’re very effective at creating privacy. Roman shades are made of fabric and can be rolled and unrolled across a window with ease. Depending on fabric, they can diffuse light or entirely block it out. They also don’t tend to provide complete privacy, but they do have a chic and stylish look that can soften a room, making it feel warm and inviting. They provide a great option for many different window types. 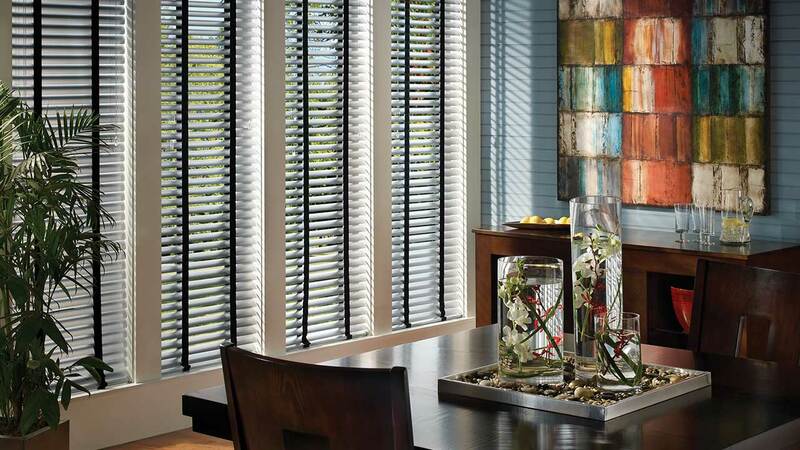 Vertical blinds are most useful for very wide windows as well as for sliding glass doors. Less expensive models can be somewhat flimsy and are therefore not advisable if you have pets or small children that may pull on them. However, they do provide excellent privacy and variable light control. Horizontal blinds are very popular for traditional rectangular windows and are much more effective for taller windows rather than wider ones. They are relatively inexpensive while still providing great light control and privacy. However, avoid less expensive models. Better designs and manufacturers will offer a sturdy product combined with elegant options. Sheers gently cover windows and do a great job of allowing diffused natural light to fill a room, making it feel bright and cheerful. They generally do not completely block out light, but they are great for those who want to experience natural light without the harsh glare that it can sometimes cause. Horizontal Sheers offer a horizontal fabric vane that allows you to control your light and privacy. They are useful for a variety of window shapes and sizes. Contact Mayfair Paint N Paper Today! This is just a short introduction to the types of window coverings that exist. Here at Mayfair Paint N Paper, we offer all of these options and more. 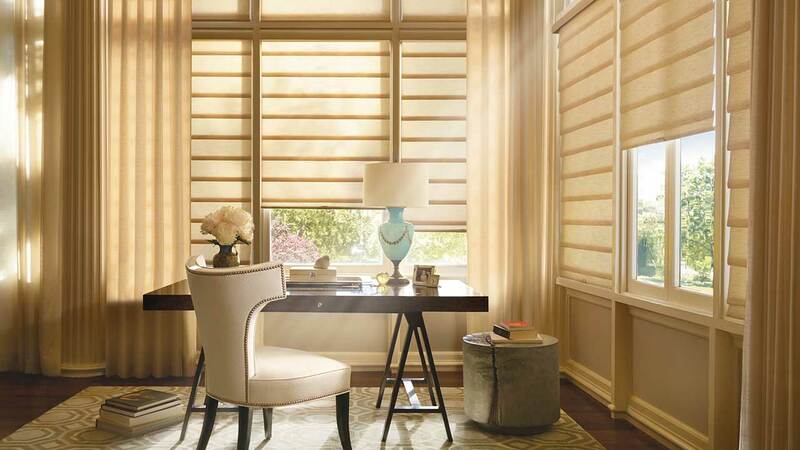 We sell only the best window coverings from leading suppliers like Elite Window Fashions, Hunter Douglas, and Eclipse Shutters. We also offer custom window coverings in order to perfectly fit all of our individual customers’ needs and desires. No two people are alike, and neither should their home window coverings be. If you have any questions, please do not hesitate to contact us today. You can fill out our convenient online window covering request form, or you can call us at (519) 756-9790 or email us at info@mayfairpaint.ca. We look forward to helping you find the perfect window coverings to help make your house the home of your dreams.